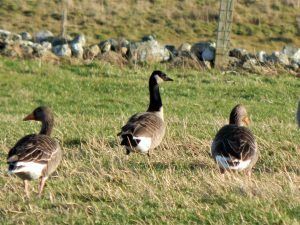 TIREE: Presumed Todd’s Canada Goose again at Caoles today (John Bowler). 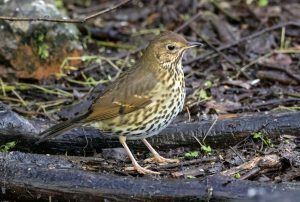 COWAL: 38 Turnstones and 22 Purple Sandpipers at Dunoon crazy golf – also Little Egret still at the Holy Loch (Alistair McGregor). 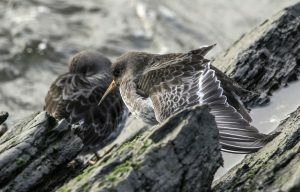 MID-ARGYLL: At Loch Gilp this morning – 2 Red Knot, 5 Bar-tailed Godwit and a single Shelduck. At Barsloisnoch/Moine Mhor only 3 Greenland White-fronted Geese in the ever decreasing wintering flock there (Jim Dickson). SONG THRUSH – Holy Loch, Cowal 4th Dec (Alistair McGregor). 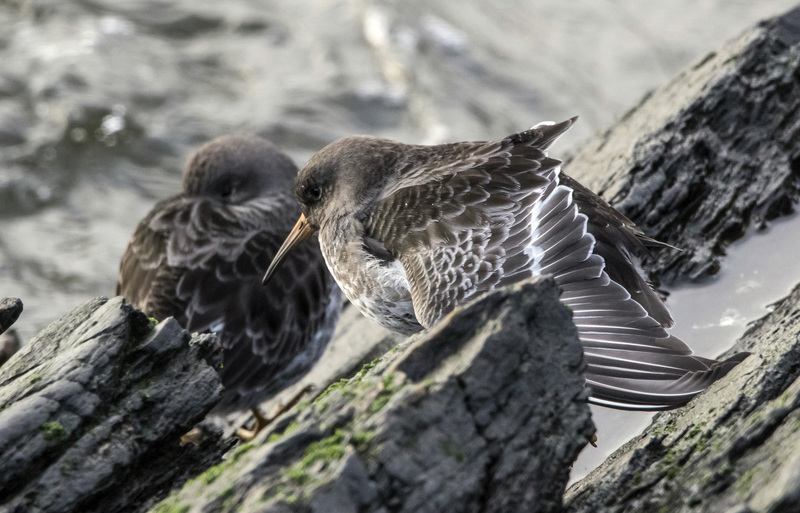 PURPLE SANDPIPERS – Dunoon, Cowal 4th Dec (Alistair McGregor). TODD’S CANADA GOOSE – Caoles, Tiree 4th Dec (John Bowler).